In a saucepan over medium heat, melt coconut oil. Add garlic, ginger and green onion and cook until onion is soft and translucent, about 5 minutes. Add bone broth, zucchini, and sweet potato to the pot with the onions. Cook, stirring occasionally, until the vegetables are tender, about 25 minutes. Meanwhile, in a separate small saucepan over low heat, warm coconut milk and garam masala, salt, and pepper. Cook, stirring frequently, until fragrant, about 15 minutes. Add the spiced coconut milk to the pot with the vegetables. Add parsley, and stir to combine. Turn the heat to low, cover, and simmer for about 10 minutes longer. Remove from heat and discard the piece of ginger. 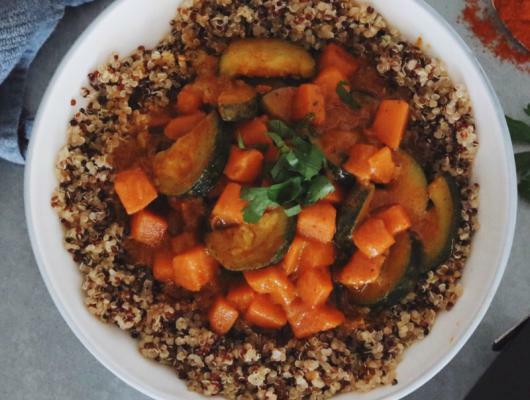 Place quinoa on a plate and top with curry. Garnish with extra parsley or cilantro and enjoy! 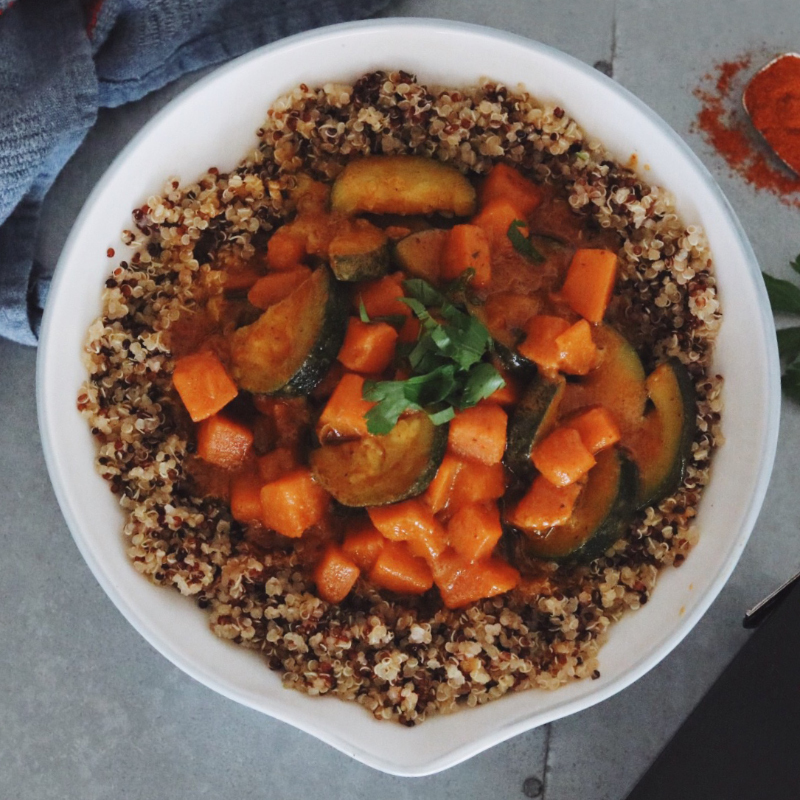 A nourishing, aromatic curry full of anti-inflammatory veggies, herbs, and spices is one of the easiest (and most delicious) ways to support your health.